It seems like it’s been a while since I’ve been back to Chicago to get a good Italian beef sandwich. 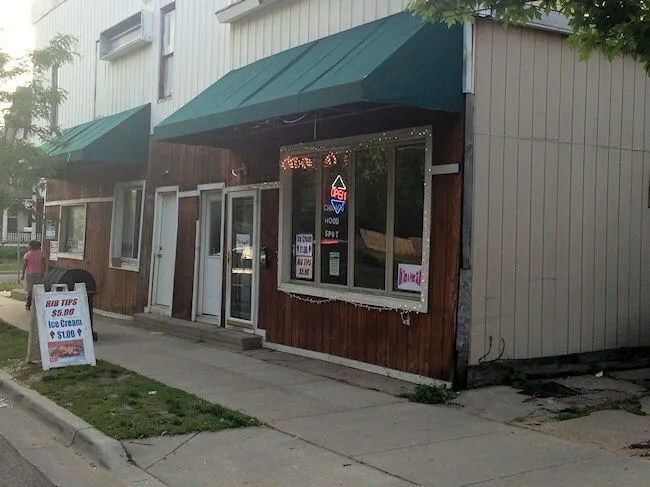 Lucky for me, I happened to see a Tweet the other day linking to an article about Five Hidden Gems in Grand Rapids which included a place that 1.) I’ve never heard of even though I’ve drove by it several times and 2.) the Italian beef was the featured sandwich. 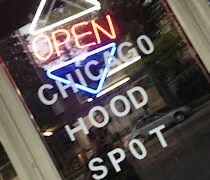 Chicago Hood Spot is on busy Franklin Street SE in Grand Rapids between Madison and Eastern. The old building really doesn’t have a lot to distinguish from some of the other buildings in the area, but they put a sandwich board out front with a special on it and that’s what caught my attention. Since the place has the word Chicago in the name, you can expect a few things on the menu. You know they have Chicago dogs as well as Italian beef and Polish sausage. Also, rib tips….delicious smelling rib tips which really tempted me, but I was in the market for Italian beef. There’s an order counter in the middle of the space which is surrounded by about half a dozen tables. The menu was on the counter and their were some daily specials written on a dry erase board next to the cash register. My eyes went straight to the top left of the menu and I ordered my Italian beef. I got it with hot peppers and dipped plus I added on fries and drink. The total was a little under $8 which seems awfully cheap for the amount of food I ended up with. They do take credit cards, but I had cash on me so I just used that. I grabbed a seat in the dining room to wait for my meal, but about the time I got comfortable, I was being handed a bag with my food and a can of Orange Crush. When I got back to work and popped open the Styrofoam container, I was happy. 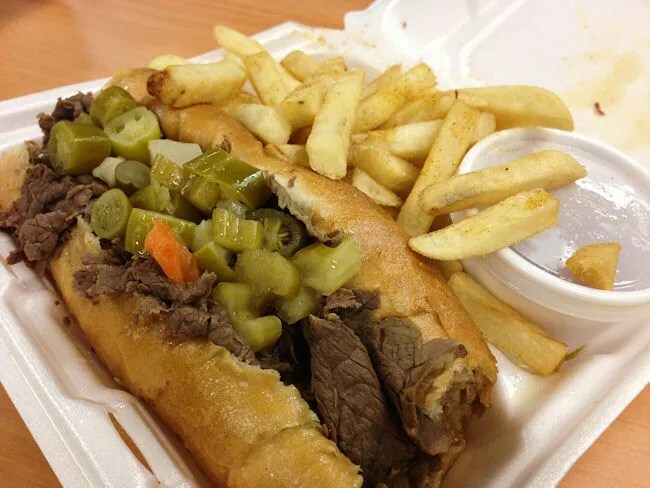 The sandwich looked exactly what an Italian beef should look like. I decided to start with the fries just because I knew I was going to make a mess with the beef. The fries are food service restaurant fries with a seasoning salt on them. There was a large container of ketchup which I didn’t discover until after I had eaten the fries. I assumed it was au jus for my beef. Not a big deal as I don’t like ketchup anyway. By letting the sandwich sit a little longer, the gravy soaked almost totally through the bottom of the bun. It made the sandwich incredibly messy, but so, so good. The hoagie bun was stuffed full of the juicy, tender beef and there was a good handful of the spicy hot pepper mix on top. The sandwich reminded me of some of Chicago’s best which is always tough to do.